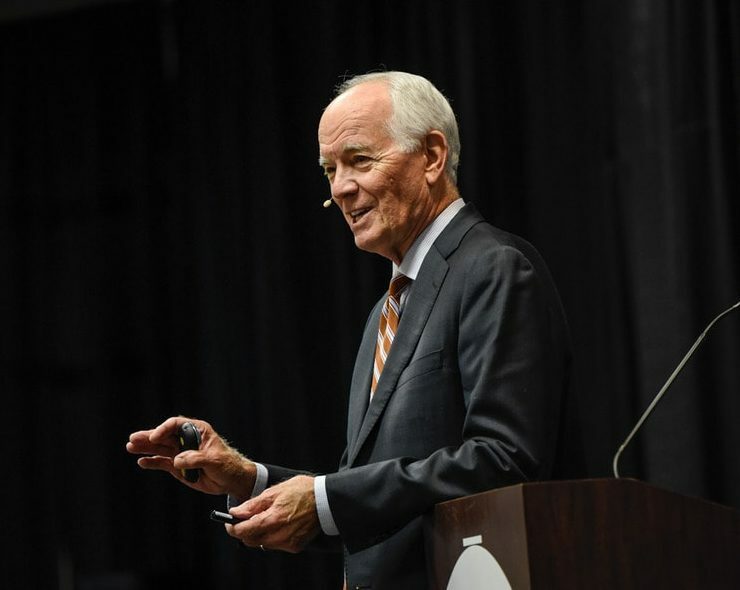 Every year for the past 15 years, economist Loren Scott has produced the Louisiana Economic Outlook, which projects the next two years of where the economy’s heading across the state and in each of its metropolitan areas. In this year’s edition, Scott’s modeling points to a brighter future for Lafayette, projecting our area will regain 1,400 jobs in 2019 and 4,900 in 2020. 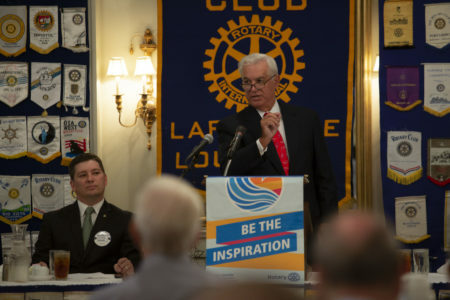 He even went so far as to declare our recession over during his presentation at a One Acadiana event today. While this is undeniably good news in light of our economic arrow pointing downward for the last few years, there are some potentially dangerous assumptions baked into Scott’s analysis of our local economy. For starters, all of his projections of growth and recovery are based on his belief that the price of oil is going to rise above $80 per barrel and stay that way for a while. During his presentation, Scott cited other projections that oil could go above $90 and upwards of $150. That makes his assumption of $80 seem reasonable. While there is a good chance that oil will exceed $80, there’s also a fair chance it won’t. You never know when the next discovery or technological innovation will radically increase the supply side of this equation or when political turmoil will suppress demand, both of which have proven capable of rapidly devaluing oil. His projections are also based on the assumption that 111 consecutive months of national economic expansion will continue unbroken. To give that some context, Scott shared that even now it’s the second longest streak in U.S. history; the longest being 120. The trend we’re on is already an outlier, and it’s inevitable that it will end someday, likely within the next 30 months that Scott’s projections encompass. That doesn’t necessarily mean we’ll fall all the way back into a national recession in the next couple of years, but it also doesn’t mean we won’t or can’t. Plus, even if the national economy were to stall rather than contract, it would still impact the assumptions underlying Scott’s projections. The third major assumption is that Trump’s tariffs and trade wars will be short-lived. Scott acknowledges that if they continue, they will hurt the growth of the U.S. economy. But it’s his belief that these are all just temporary negotiating tactics, and that more advantageous trade relations will be reestablished in the near future. There are just no guarantees this is how everything will play out. So now we’ve got three major assumptions — that oil will stay above $80, that the U.S. economy will keep growing, and that Trump’s trade wars end peacefully and soon — that undergird Scott’s projections for our local economy growing again over the next couple of years. Yet none of these assumptions are even close to guaranteed. 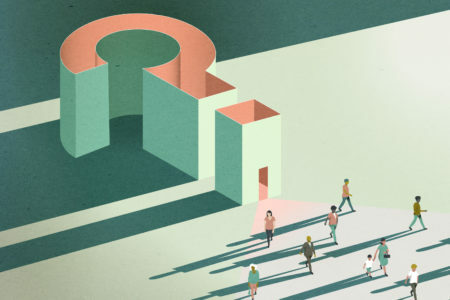 Even if we generously estimate that each issue has a 75 percent chance of falling in our favor, collectively that means our odds are just over 40 percent that all three hit right to create the environment Scott’s projections are based on. Scott’s most problematic assumption is that as the price of oil rises Lafayette’s oil industry will rise along with it. While historically that has always been the case — when oil was down nationally, Lafayette was down; when it was up, we were up — as I’ve analyzed previously, that isn’t necessarily the case any more. Everyone I’m talking to in the oil and gas industry says the era of drilling on the Shelf in the Gulf is effectively over. Fracking onshore is just too much cheaper, faster and safer. This has had a devastating impact on Lafayette’s oil economy as a significant amount of it supports drilling on the Shelf. In other words, just because the price of oil goes up and domestic production increases, that doesn’t mean production’s going to go up on the Shelf at the same rate. And, even if it does, one of the things Scott touted was how offshore drilling has been able to drop its breakeven point from about $65 down to $35 over the last few years, which is great. But where are those savings coming from? Much of it is from automating processes so companies can reduce headcount and lower overhead. Reducing headcount means less employment, especially for the people who live in and around Lafayette and work in this sector. So even if drilling on the Shelf does return, it won’t support as many jobs and won’t have as much of an impact on Lafayette’s economy, especially given how few producers are left in Lafayette compared with decades past. It’s producers who profit the most from lower production costs. We have to accept that the new normal in Lafayette’s energy economy is a diminished version of its former self. Yet even if we put all this aside and just assume that these issues all work out, the 6,300 jobs he projects the Lafayette metro area will gain represent only a fraction of the more than 20,000 jobs we lost over the last three years. That means the Lafayette market would be 15,000 jobs shy of where it was five years ago. What this means is that for half a decade Lafayette’s economy lost its ability to support the livelihoods of tens of thousands of people. That represents thousands of high school and college graduates who left for better opportunities elsewhere and thousands more who found no reason to come here in the first place. All that brings us to what I fear could be Scott’s most dangerous assumption: This is just another down cycle that will eventually resolve itself like they have in the past. We have to accept that the new normal in Lafayette’s energy economy is a diminished version of its former self. Unless something changes radically, it seems unlikely that our energy economy will ever recover all of the $5 billion in GDP that it lost over the last few years. And despite all the great companies that have diversified our economy outside of oil and gas, none of them are currently projecting to replace the more than 20,000 lost jobs. Reading Scott’s analysis without this additional context, it would be very easy to assume that everything’s on its way back to normal, that we can afford to be complacent about the future of Lafayette’s economy. The exact opposite is true: Scott’s analysis shows just how fragile our economy is; so much of it relies on factors that are completely out of our control. The old normal is likely gone. Instead, we’re faced with a new choice: Redouble our efforts to diversify our economy or accept that the halcyon energy days are over. 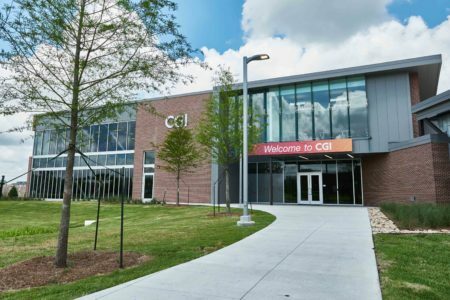 Louisiana Economic Development is hosting a career fair in Baton Rouge to help CGI fill the 400 new jobs the consulting giant is creating in Lafayette. In January, LED hosted a job fair to help IBM recruit people in Lafayette to work in Baton Rouge. A look into Jim Bernhard's foray into nuclear energy raises questions about his qualifications to run LUS.